The Solstice waits in the wings of the approaching weekend. I sit by the open patio door. 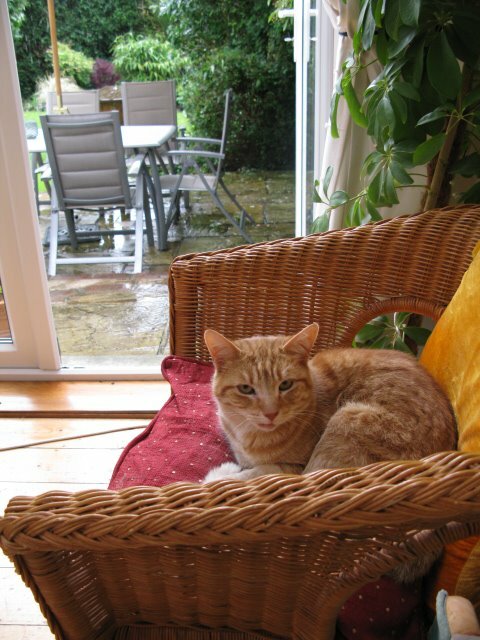 Cat is curled up on his chair beside mine. The smell of the rain drifts in from the garden. Bringing with it the plop, plop of rain drops falling on the sun umbrella. 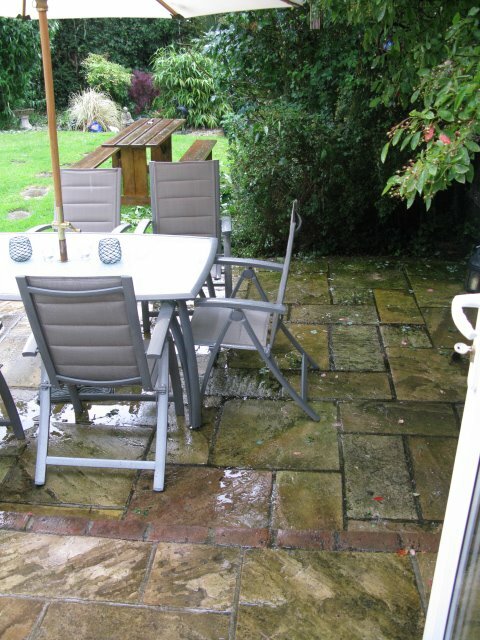 Patio stones coloured dark brown in the downpour. Contrasting with the vividness of the greens of the grass, shrubs and bushes. smacking hard against the table, the ground. Fat blobs falling from the tree. I close the door against the chilled air. The sound of the rain now muffled. The cat stirs and then re-settles himself. I wonder how long it will take the chairs to dry out.